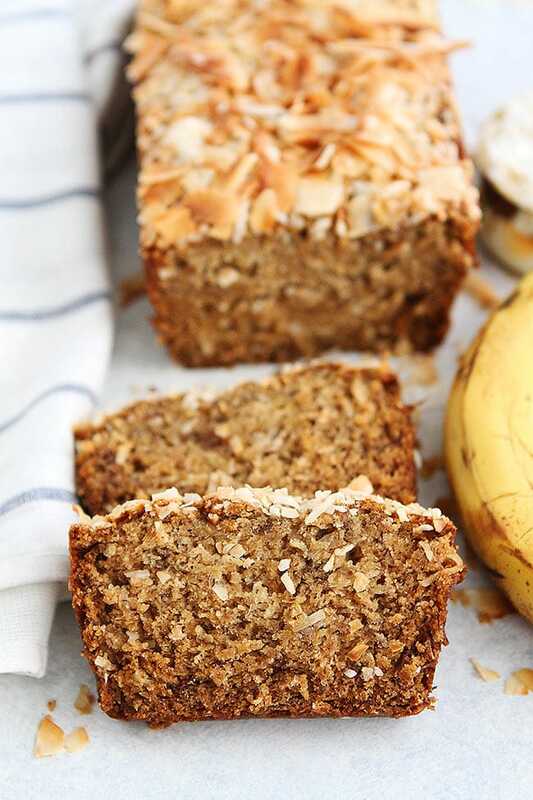 Coconut Banana Bread is the perfect banana bread for coconut lovers. It is made with coconut oil, coconut extract, and coconut. the toasted coconut on top really brings out the coconut flavor! It really is the ultimate coconut banana bread. The coconut flavor shines throughout the entire loaf. Coconut lovers, get out your brown bananas, coconut, and let’s make some banana bread! Make sure you use bananas that are mostly brown. The over ripe bananas will make the banana bread super sweet and moist. Mash the peeled bananas with a fork, until they are smooth. Measure your coconut oil and then melt it in the microwave. Let it cool to room temperature before adding it to the other liquid ingredients. Make sure your egg is at room temperature. If you want to make vegan banana bread, you can replace the egg with a flax egg. 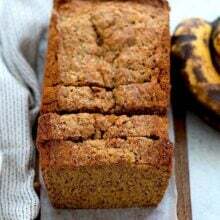 I use brown sugar for this banana bread recipe because it keeps the bread extra moist and I love the flavor. Add vanilla extract AND coconut extract to the liquid ingredients. You can find coconut extract at most grocery stores in the spice aisle. It gives the banana bread a nice coconut boost. Stir the dry ingredients into the wet ingredients and don’t over mix. 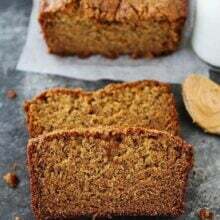 I use two kinds of coconut for this recipe, sweetened flaked coconut for the banana bread batter and unsweetened coconut chips for the top of the bread. 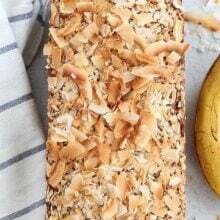 I like the smaller flakes IN the bread, they blend in better and the big coconut chips make a nice coconut statement on top of the bread, especially when they get nice and toasted. The toasted coconut on top is everything! 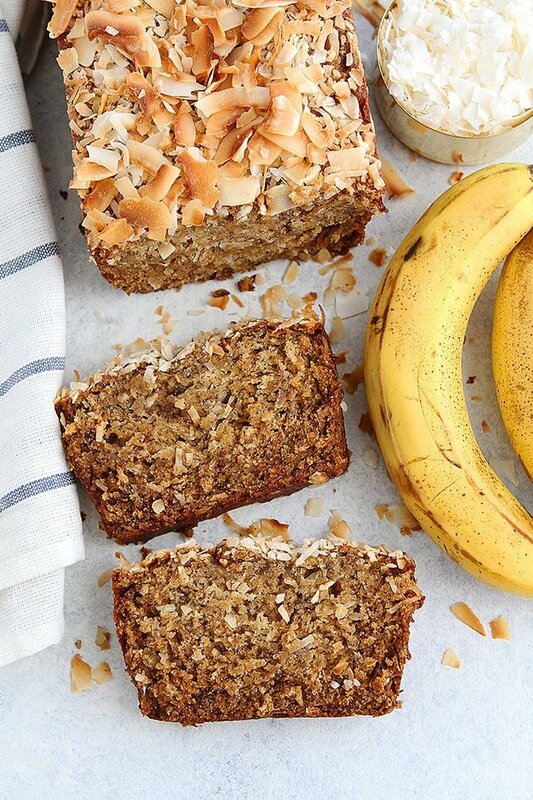 You don’t have to toast the coconut before putting it on top of the banana bread. It will toast while it is baking in the oven. Bake until a toothpick comes out clean when inserted into the center of the loaf. The coconut should be perfectly toasted on top. 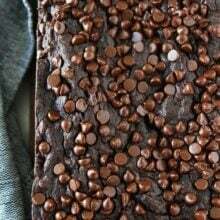 You can make this banana bread anytime and all the time, but I especially love it during the spring and summer months. Coconut is always popular around Easter time, making this the perfect banana bread for Easter brunch. Coconut also makes me think of summertime and the beach, so it is also a great summer banana bread. 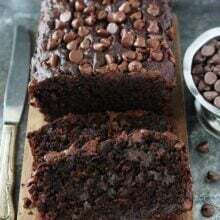 Enjoy a warm thick slice and you will be in heaven! 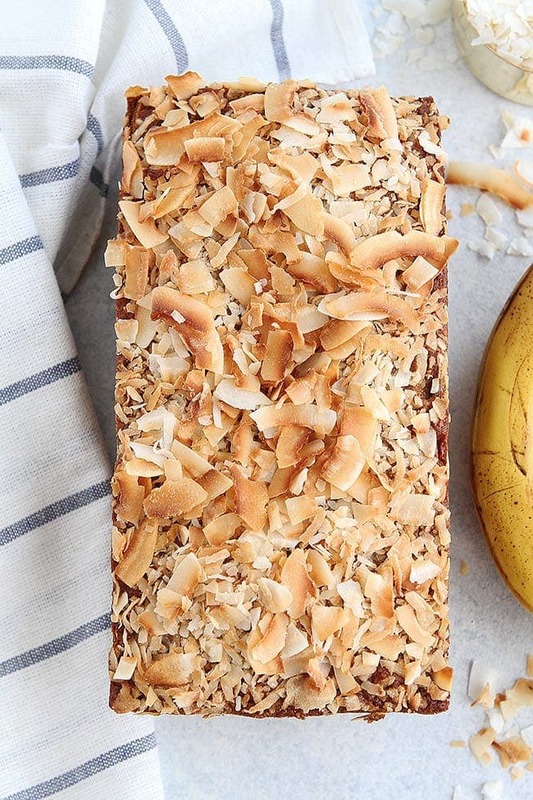 Coconut lovers will go crazy for this moist coconut banana bread! In a large bowl, mash the ripe bananas with a fork. Add the melted coconut oil and stir until combined. Stir in the brown sugar, egg, vanilla extract, and coconut extract. Stir until smooth. Stir the dry ingredients into the wet ingredients, don’t over mix. Stir in 1/2 cup of the sweetened coconut flakes. Pour batter into prepared pan. Sprinkle with remaining sweetened coconut and the coconut chips. Bake for 50-65 minutes, or until a toothpick inserted into the center of the bread comes out clean. If the coconut starts to brown too quickly, drape the pan loosely with a piece of aluminum foil and finish baking. My bread takes 60 to 65 minutes, but check at 50 to be safe. Remove the pan from the oven and set on a wire cooling rack. Let the bread cool in the pan for 10 minutes. Run a knife around the edges of the bread and carefully remove from the pan. If some of the coconut falls off, that is ok. Place it back on top of the loaf. Let the bread cool on the wire cooling rack until slightly warm. Cut into slices and serve. The bread will keep on the counter, wrapped in plastic wrap, for up to 3 days. This bread also freezes well. To freeze, cool the bread completely and wrap in plastic wrap and place in a freezer bag. Freeze for up to 1 month. Defrost before slicing. Hey Maria…! i love bananas and its looks soo delicious & sound too yummy…this perfect for fabulous dinner cuisine..Thanks for sharing….! LOOK at that topping! I’ll take several loaves, please. I made this for work and it was a BIG HIT. Everyone loved it! Yay! Glad you liked the banana bread! Absolutely amazing! I made the recipe twice today once for the students and teachers at school and another time for my family. Everyone who tried it was saying how amazing it was and can they get the recipe. hands down the best banana bread I’ve had. So glad you loved the banana bread! Thanks for letting us know!